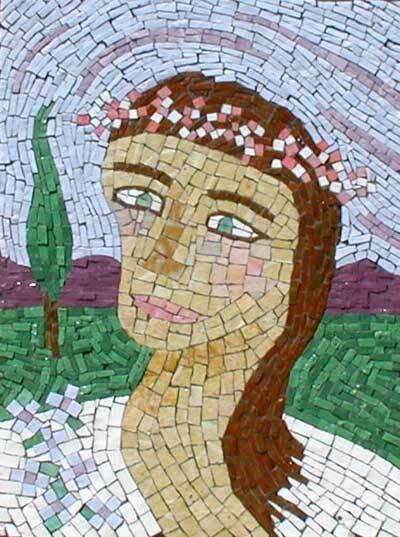 “My Green-Eyed Bride” mosaic art. smalti on panel. grouted. 18 in x 22 in.